The people who come to me for coaching all have one thing in common – they sense that there is somehow, something MORE out there. Not fulfilling your potential can be painful, but the good news is pain is a great catalyst for growth. Whether it’s a sense of settling when it’s a season for pioneering, the realization that life is more than balancing too many things, or a gut-deep recognition that your joy has taken back burner to your job, there comes a point when you need to take control of your career. My clients are people who wear a lot of hats and sometimes need to take some time for themselves to re-calibrate and make sure they haven’t gone too off track from their calling in the midst of their here and now. The process is simple. 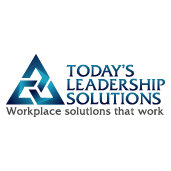 First, you reach out to me here or email carrie@todaysleadershipsolutions.com. We then talk over the phone to get an idea of what your coaching goals are and to give you a better understanding of what to expect from coaching. If you like what you hear, I send you an information form and then we conduct a trial session. If you love it, we start your coaching! Most coaching sessions are 50 minutes. I also offer resumes, LinkedIn profiles and cover letters after you know what your next career move is. I would love to hear from you!